Making a travel soccer team, breaking into the starting lineup, or playing in a more competitive league can be a daunting task for many soccer players. If you want to be competitive at a higher level, you need to be mentally tough and that starts with confidence. Johnny was a star on his high school team and received many accolades and awards throughout his career. Johnny had a great college tryout and made the team with ease but did not immediately break into the starting lineup. In pre-season games, Johnny continued to play strong coming in off the bench. Prior to the first game of the season, Johnny’s coach pulled him aside and told him that he would be the starter in the opening game. Even though Johnny earned the role as the starter, he had doubts as to whether he could compete at the collegiate level. The players in college were stronger, faster and much more talented than the players Johnny played against in club and high school soccer. The lack of confidence showed in Johnny’s play on the field. Johnny was tentative and made critical mistakes in his first collegiate game and was replaced at half-time. As you can see by the previous example, confidence is absolutely necessary if you are to play to your potential. When you under-perform, it is never a talent issue, it is a confidence problem. Questioning your ability to play at the next level erodes your confidence, increases anxiety and makes focusing seem like an impossible task. 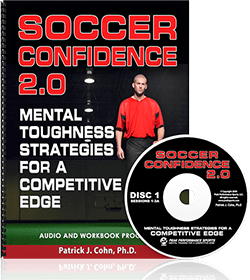 Conversely, a strong sense of confidence is what helps soccer players face challenges and raise their game to the next level. As the USMNT attempts to qualify for the World Cup, Pulisic has been the best player on the field during qualifying matches. Pulisic’s play on the field has been described as fearless, relentless, confident and tough and his production is top on the US team. Pulisic has already scored seven goals for the United States, including four goals in a four-game span. Bruce Arena, head coach of the USMNT, credits Pulisic’s strong sense of confidence as the reason for his impactful play on the big international stage. How has Pulisic been able to maintain such a high level of confidence playing against more experienced, older and stronger players? Well, Pulisic doesn’t see his competition as better… Pulisic knows he has earned the right to play at this high level and he knows he belongs there. You earned the opportunity to play stronger competition because of your ability and hard work. You can raise your game to the next level if you stay focused on the strength of your game and the reasons you have made as far as you have. 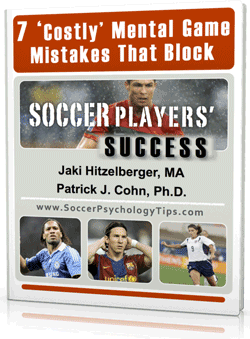 Discover Mental Game Secrets to Soccer Confidence! Does your confidence seem to disappear when you go from practice to games? Do you get nervous and anxious in big games or when under a ton of pressure? 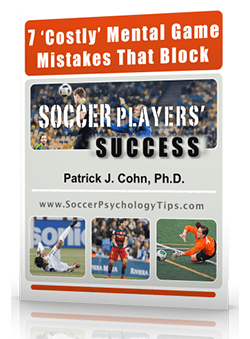 Do you get so frustrated after making a bad pass that your confidence sinks? 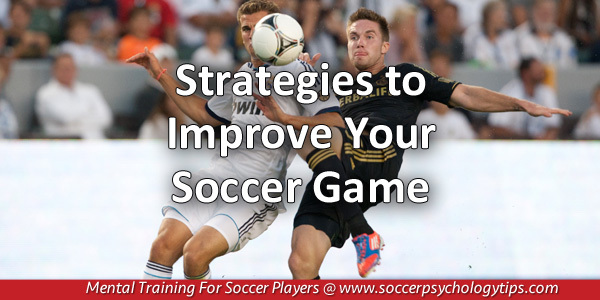 Learn the top eight mental game lessons for soccer players to boost your mental game and improve consistency. You’ll learn how to mentally prepare for games to performing under pressure to building unstoppable confidence! What are our mental game program customers saying? What are mental game subscribers saying?